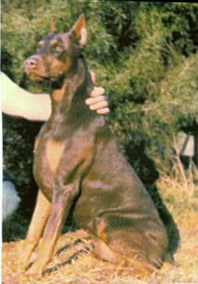 While the term "kennel" brings up visions of chain link runs and concrete floors, for us nothing could be further from that. 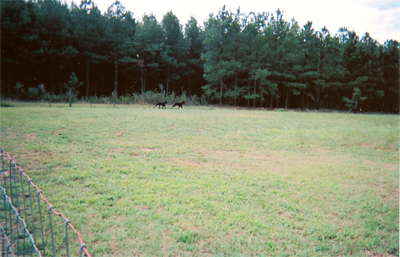 Our "kennel" is actually our home in Monroe, North Carolina, USA. 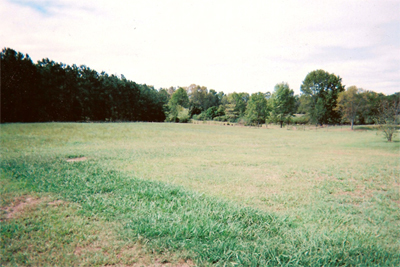 Monroe is just East of the city of Charlotte. 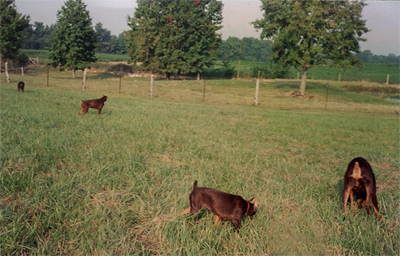 Our dogs exercise on 20+ acres of securely fenced grass yard. 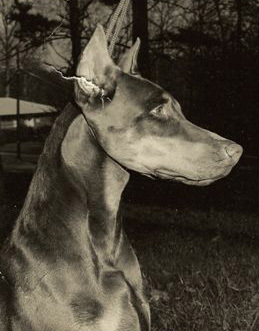 Dobermans need lots of exercise and they love to stretch out in full gallop across the field. 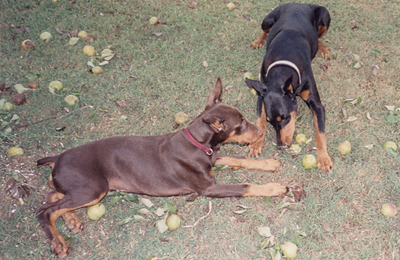 Stripped the pear tree, now let's eat them! 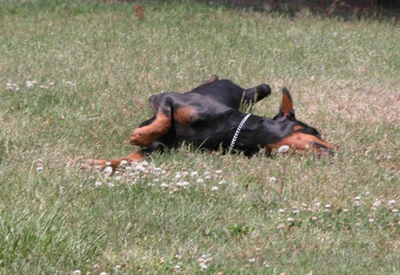 Gatlin says "feels so good - I love rolling in the grass!" 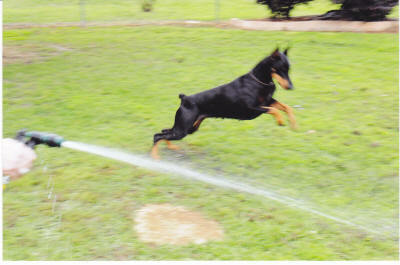 "Jewel" chasing water hose.... One of our dogs favorite things!! Are we having fun yet !!!!!!!!!!! Stock car racing is one of our other interests, hence the name "Talladega". We have a dog grooming facility on the premises and keep very busy all of the time, but we always welcome visitors when they call ahead & make an appointment first! Blaze carried the great DICTATOR 8 times in only five generations. We are proud to say our beautiful "Hawke" carries "Blaze's" blood also!